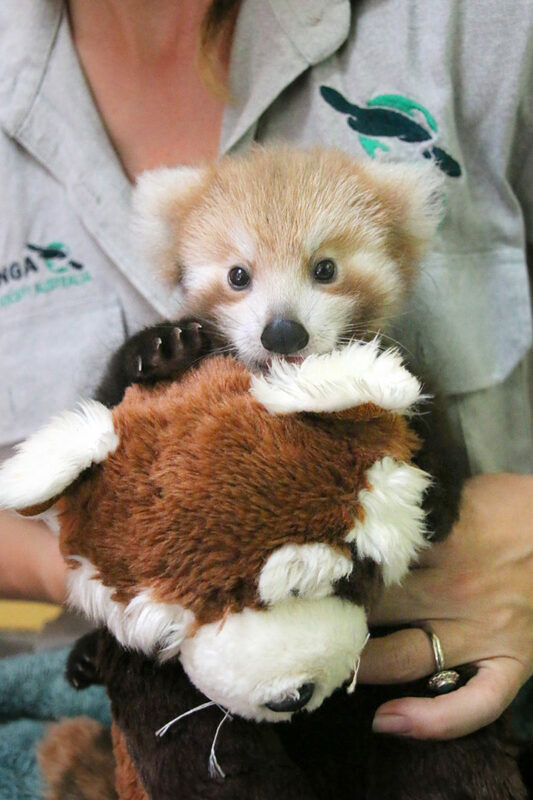 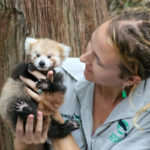 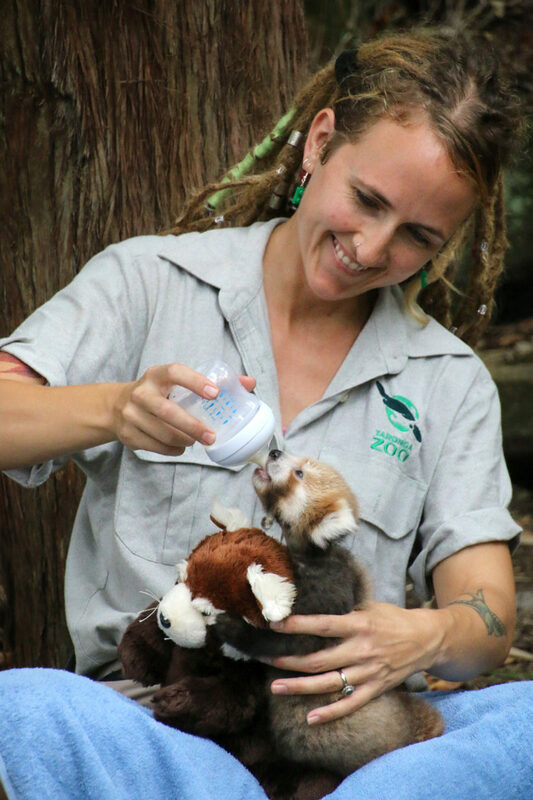 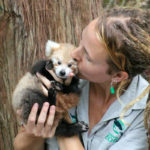 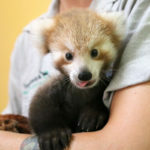 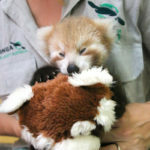 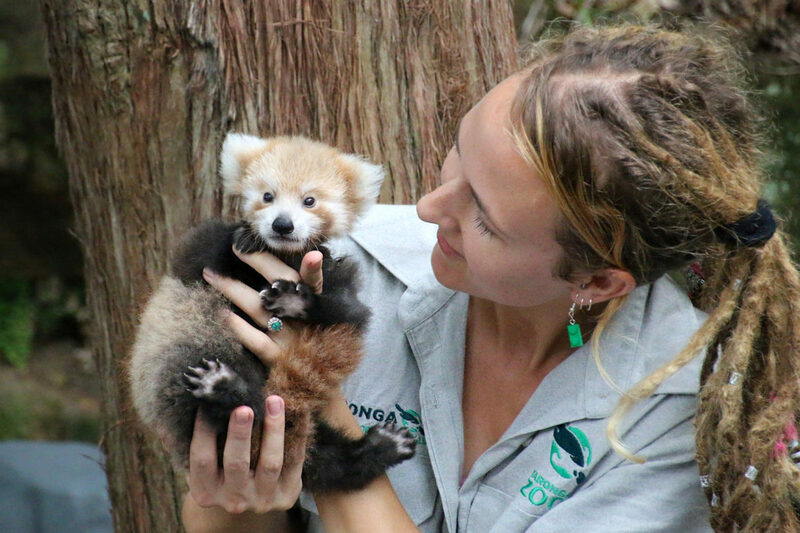 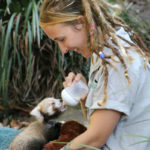 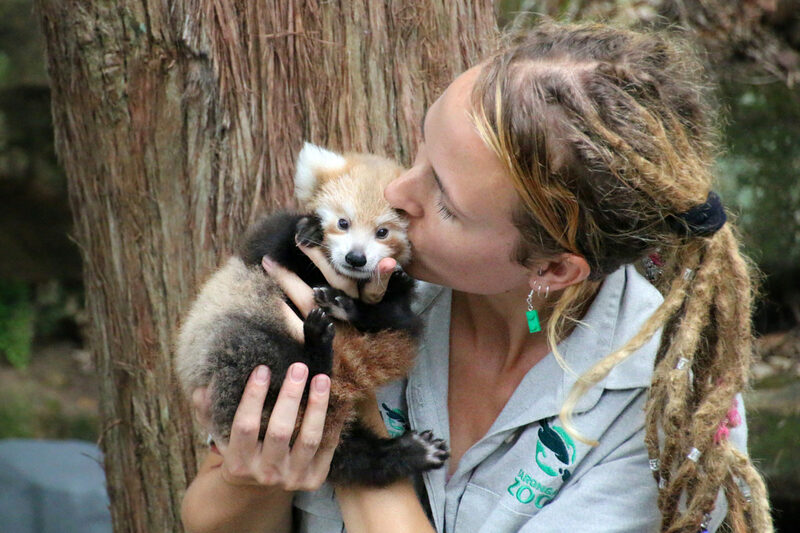 Two-month-old Red Panda cub Maiya (“little girl” in Nepali) is making a remarkable recovery at Australian Taronga Zoo. 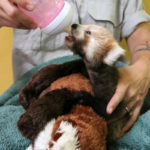 According to the zoo the female cub suffered from a neck injury while being carried by her mother Amala. 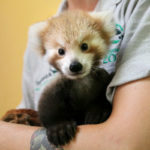 These kind of wounds aren’t unusual in the first weeks when the mother has to carry the cubs by the scruff of the neck. 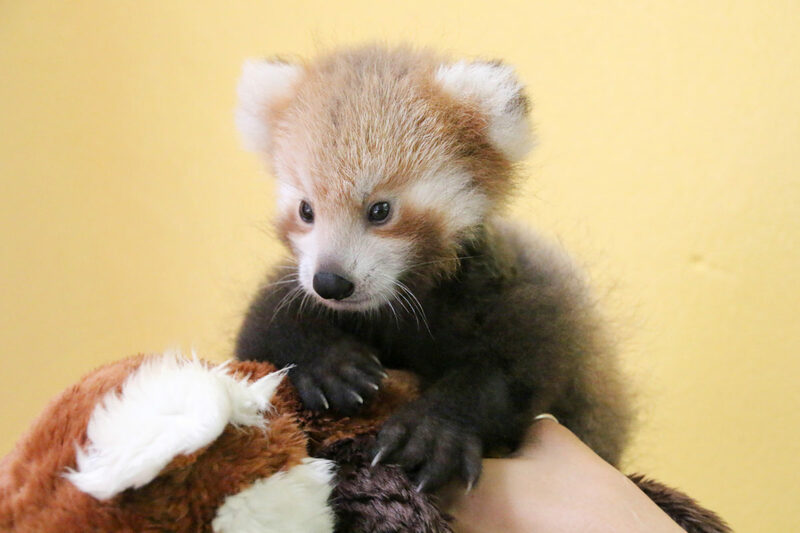 Maybe Maiyas new little friend also helped her a little bit. 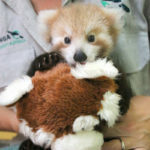 It’s a soft toy Red Panda which she loves to cuddle. 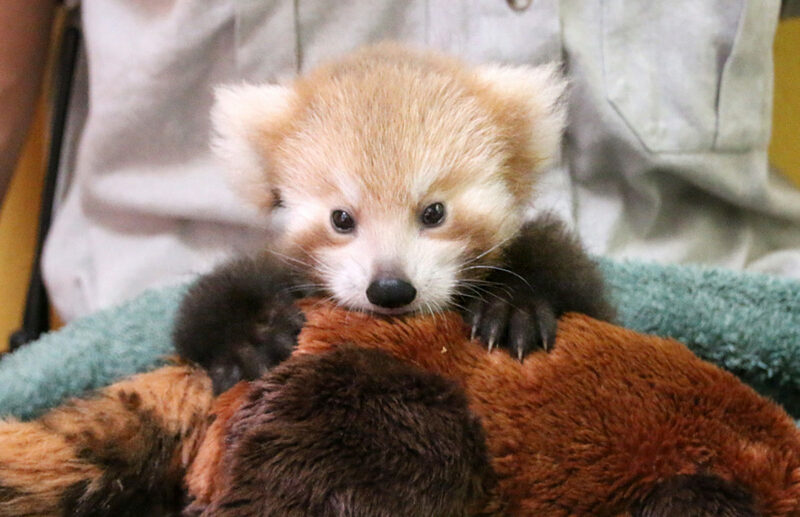 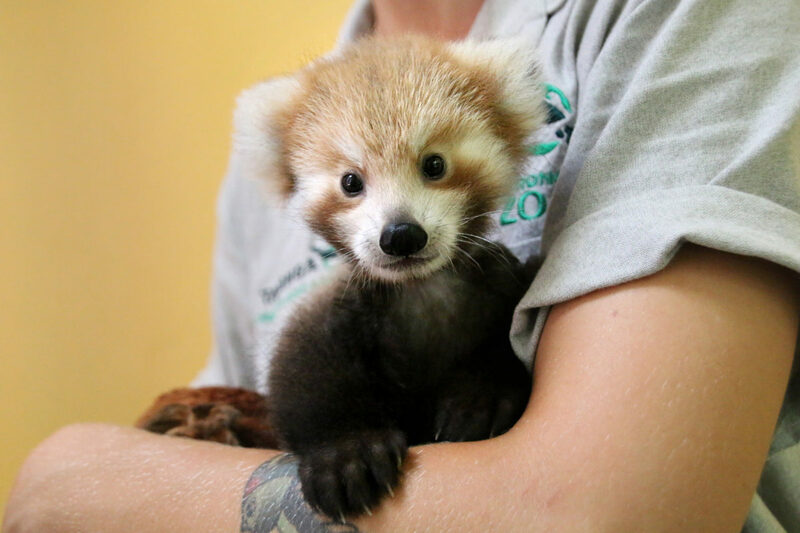 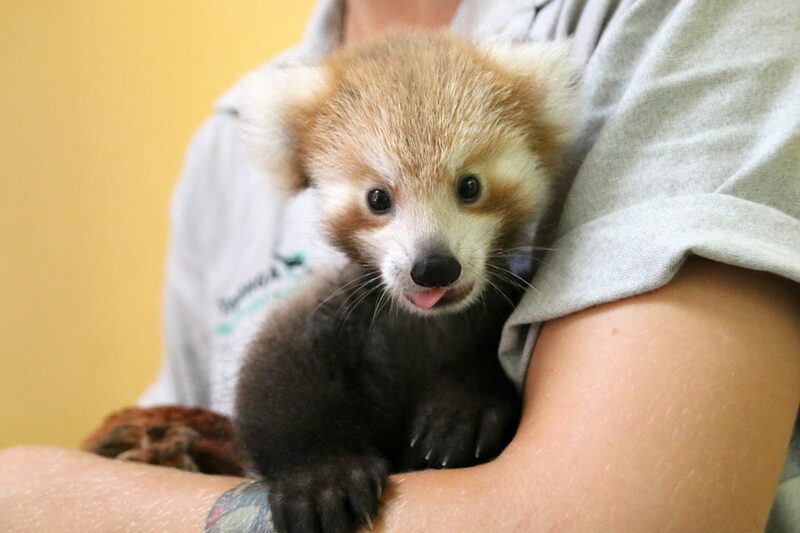 We couldn’t resist sharing some more of Maiya the Red Panda Cub. 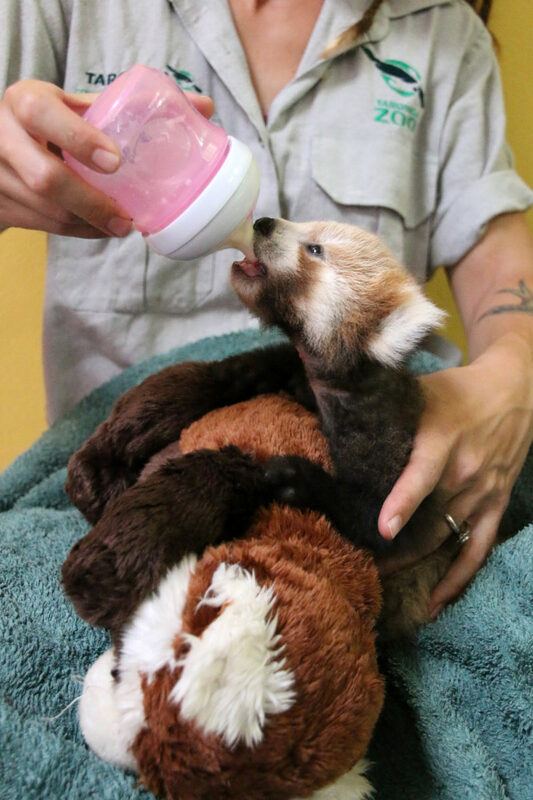 Maiya is thriving thanks to round-the-clock care and has found a fluffy new friend in the form of a soft toy Red Panda, which she clings to while feeding and sleeping. 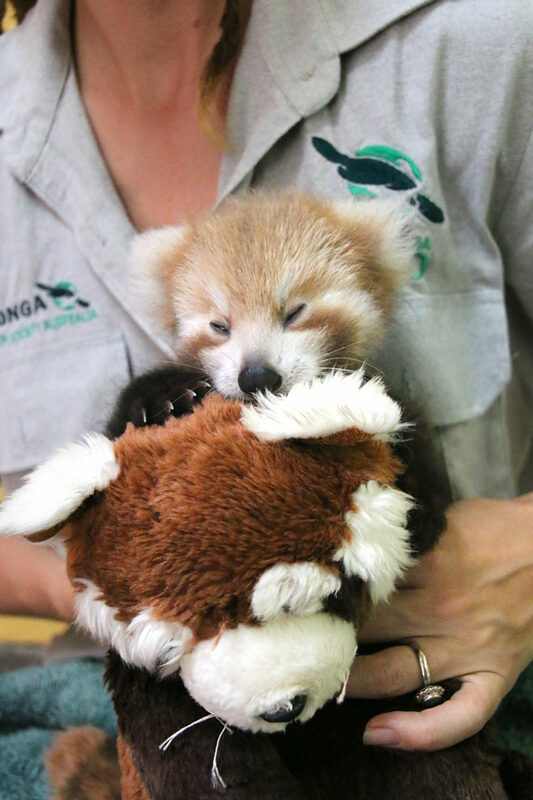 Maiya’s parents Amala and father Pabu can see and smell her each morning in Taronga’s Red Panda exhibit. 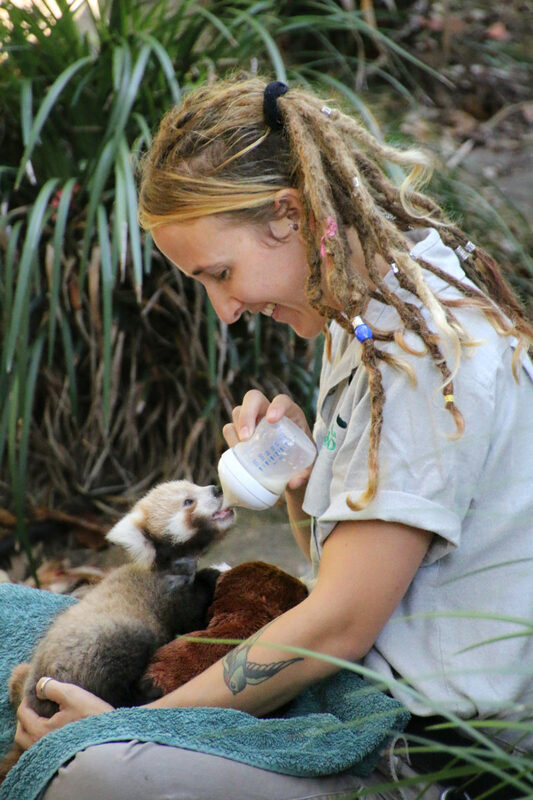 Over the next months the keepers are trying to reintegrate Maiya with her parents. 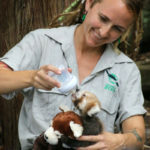 Check out Taronga Zoo’s website for more information.